1. It soothes the soul. 2. 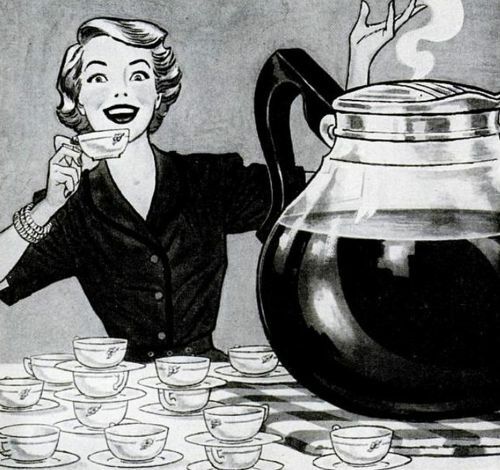 There is no smell more glorious than that of freshly brewed coffee in the morning. 5. It’s a great hand warmer on cold mornings. 6. It gives you warm & fuzzy feelings! 7. It gives you more antioxidants than anything else. 8. Coffee – Flavored – Ice-cream. 9. It speeds up your metabolism. 10. Coffee cups are fun to collect. 11. It has the power to make you happy when you’re sad. 12. It aced that exam for you. 13. It helped you get through that dreadful work-day. 14. You never have to worry about kids stealing a sip. 15. It comes in iced form for scorching hot days. 16. Espresso makes you less depresso. 17. Selfies look cuter with a Starbucks cup. 18. God created the Earth. He made the coffee bean. Praise God. 19. Who doesn’t love coffee shops? 20. Coffee can be hot, coffee can be cold, coffee can be sweet, and coffee can be bold. 21. It makes mornings better. No, it makes them possible. 22. Women are less likely to get skin cancer if they drink it. 23. Don’t let me forget pumpkin spiced coffee. 24. Holiday blends in general… there’s something new every year! 25. It had your back after a night of drinking too much. 26. That 2:30 feeling can be cured with its caffeine magic. 27. It helps you recover from that carb crash you get after lunch. 28. Your digestive system loves it. 29. Coffee doesn’t ask stupid questions, coffee understands. 30. It’s tall, dark, and handsome! 31. I actually remember to use my Starbucks gift-cards. 32. The Sirius Radio COFFEE House station is fantastic. 33. You can use it to stain/age things like paper for craft projects. 34. Even a bad cup of coffee is better than no coffee at all. 35. Mondays would be impossible without it. 36. Hipster Baristas are cute. 37. Coffee cups make great accessories. 38. It increases your productivity! 39. It gives you a reason to take a break from your computer during your work day. 40. Because grabbing coffee in the lobby after church is a great way to discuss the sermon and meet new people. 41. There’s a whole song dedicated to falling in love in a coffee shop. 42. Reverse zombie effect. As in, I wake up as a zombie, and it turns me back into a human. 43. Coffee grows on trees; that makes it a plant… coffee is salad. 44. Because meeting up for coffee is less suggestive than meeting up for drinks. 45. It always hopes, always perseveres, coffee never fails.